Legislators swiftly signed the South Carolina Pregnancy Accommodations Act (SCPAA) into law after introduced for the first time in the 2017-2018 legislative session. 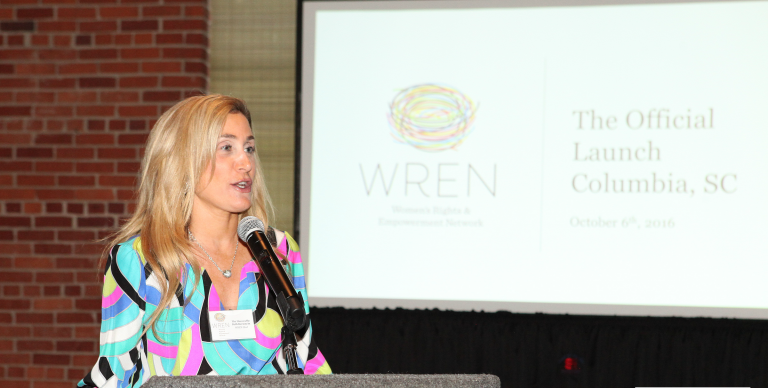 As one of WREN’s top legislative priorities, the SCPAA shattered barriers as the first state-level bill in the south to offer crucial protections to pregnant employees. The bill garnered overwhelming, bipartisan support from partners across our state and the political spectrum. In South Carolina, pregnant employees too often faced the risk of losing their jobs or compromising their own health and the health of their baby. When employers deny pregnant employees vital and low-cost accommodations in the workforce (e.g. stool at cashier’s station or access to a water bottle), birth outcomes such as low birth weight, preeclampsia, or miscarriage increase in likelihood. In addition, proper accommodations allow a woman to continue breastfeeding when she returns to work. Breastfeeding protects babies from infections and illnesses and leads to better health outcomes. Lack of reasonable workplace accommodations also has the potential to force pregnant employees to take early unpaid leave. Representative Beth Bernstein introduced the SCPPA in order to address the health and well-being of pregnant employees in the workforce. Throughout this bill’s time in the General Assembly, Representative Bernstein fought diligently to champion vast, bipartisan support. In understanding the necessity of the SCPPA, WREN brought in diverse partners, including the March of Dimes and Palmetto Family Council, to testify in support. When WREN sent out alerts and posted videos to explain the content and urgency of the legislation, the community showed up in droves to lobby, fill the room for subcommittee and full committee hearings, testify, call, and email legislators. As of May 18, 2018, if you are pregnant while working, recovering from childbirth, or need to express milk at work, you don’t have to risk your health to stay at your job. South Carolina law now gives you an explicit right to reasonable pregnancy accommodations so you can stay healthy and keep earning a paycheck when you need it most. On the day the governor signed SCPPA into law, partners and constituents came together again to celebrate. We won a battle that would not only help us today, but that shapes the health of pregnancies for generations to come. As this legislation is implemented, we’ll be working hard on our end to ensure proper compliance.